Our new home has pretty nice windows. I love the inset pieces and, luckily, we haven't had to replace any of them. But, because they are were not installed during the new "energy efficient" era, they aren't the best at keeping out cold and warm air. 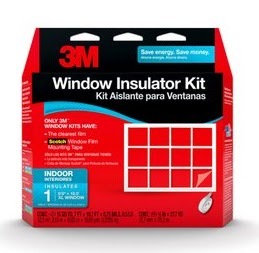 So when 3M offered to send me one of their Window Insulator Kits, I jumped at the chance to review the product and see whether it works or not. I'm happy to report that we are very please with our insulated windows. Not only could I feel an immediate difference in the temperature of the room after I installed the film, but we haven't had to turn on our heat at all yet (knock on wood). With the insulation installed, our rooms are much better at retaining heat. The process was super simple and took us about a half hour for two windows. 3M includes directions on the back of the box that are very straightforward, but because I am a visual person, I love step-by-step pictures of the process. 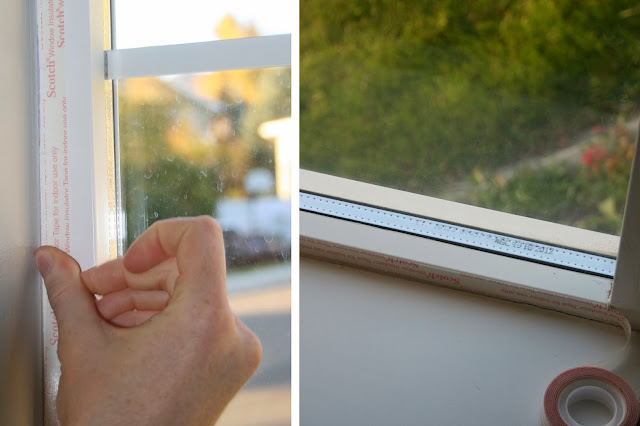 Want to install insulation on your windows? Step One: Remove your blinds or window coverings. 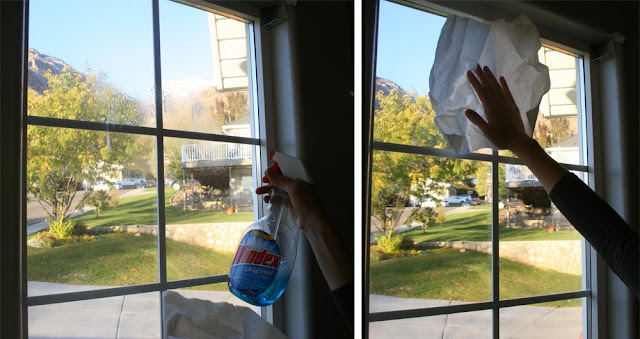 Step Two: Wash your windows. The film won't directly touch your window, but why not give it a fresh scrub? Step Three: Apply the adhesive tape on all sides of the window. 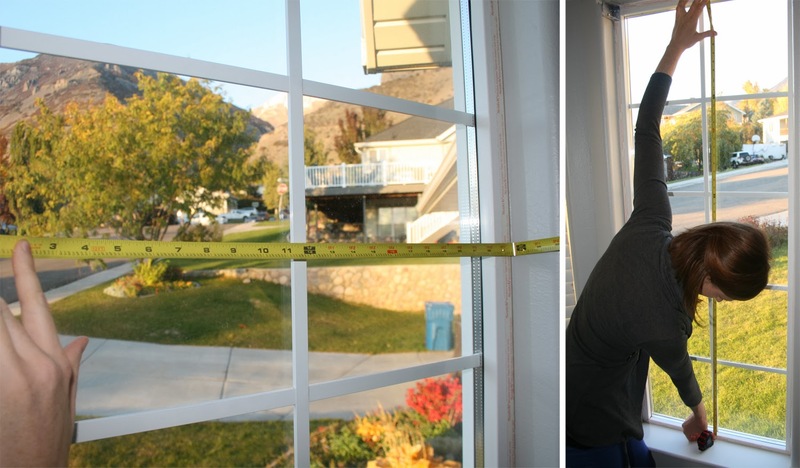 Step Four: Measure the windows. 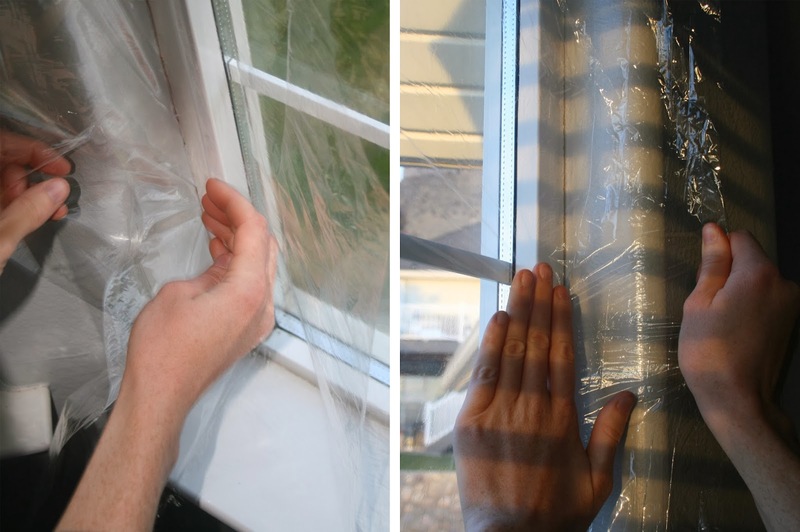 Step Five: Measure and cut pieces of insulating film the same dimension as the windows. 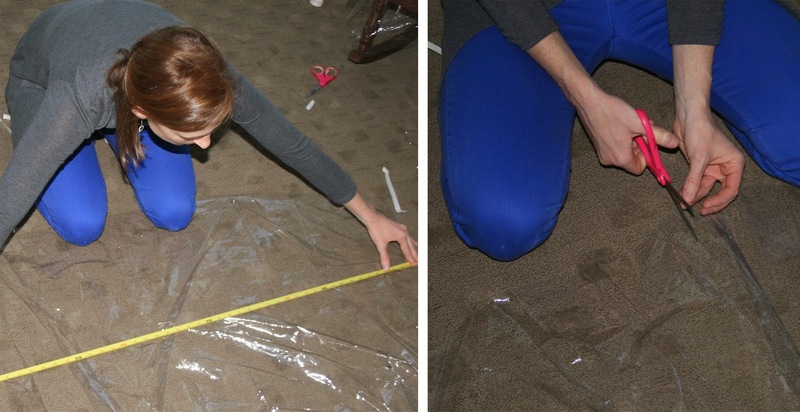 You will need to unwrap the film from the package and lay it as flat as possible on the floor. Add about an inch more on each side. 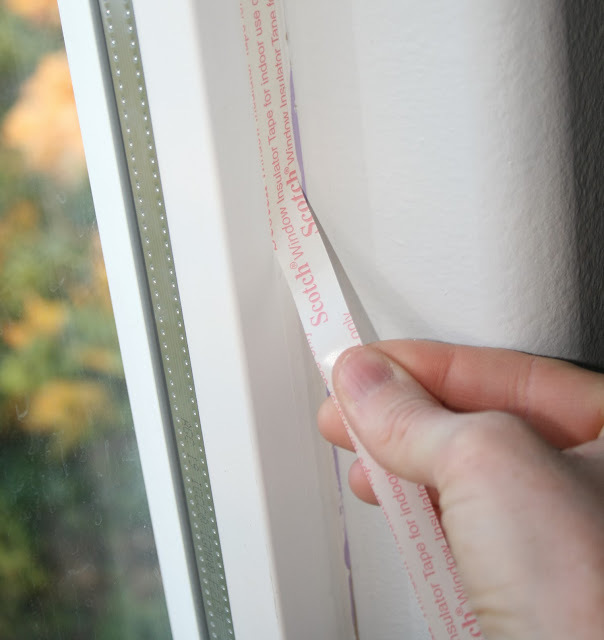 Step Six: Remove the paper backing from the tape you applied around the window. Step Seven: Stick the film to the top of your window. 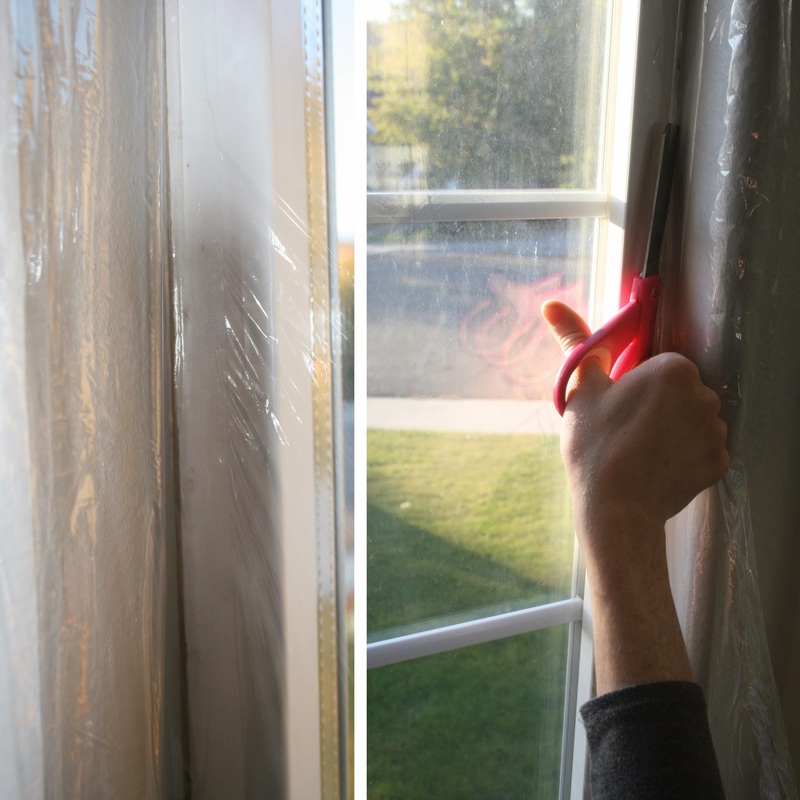 Pull tightly and stick film to the bottom of the window. Step Eight: Pull the film tightly on the sides and stick tightly. You can see that I left more than an inch on each side, but this made it much easier to pull the film tight. Step Nine: Cut off the excess insulator film. Step Ten: The film may be looser in some places than others and there will be wrinkles. 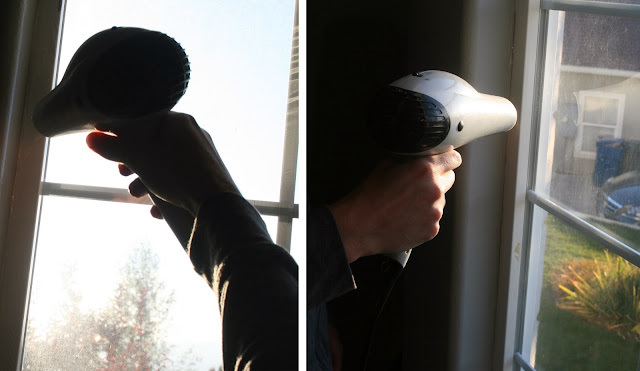 Use a blow dryer to seal the film. This was by far the best part! The hot air from the blow dryer removes the wrinkles and makes the plastic film stretch taut around the window. My husband and I were really concerned that adding window insulator would make our windows look "ghetto" and unappealing from the inside and outside. We were wrong. Because the film is stretched so tightly across the window, you can't even see it. You may not be able to see a difference, but you can feel a difference. I am so happy with the results! In under 30 minutes we were able to seal our windows for the winter. Thank you 3M! I am being compensated for my review of the 3M Window Insulator Kit but my shared experience, comments and opinions are 100% legit. Be sure and visit 3M DIY for inspiration and project tips and tricks on their Twitter, Pinterest and Facebook pages. Lots of work and lots of percision needed. Based on the step by step directions I'm not sold on the product. Imagine, in warmer months, you'd have to remove the film and then redo again in colder months. 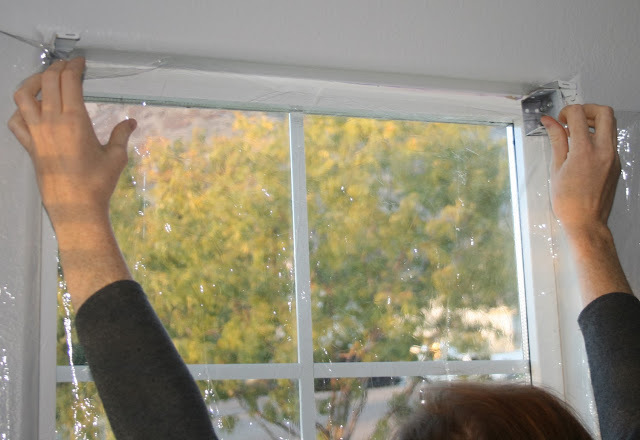 Mounting and unmounting the window shades hardware that many times will quickly destroy your window frames. One suggestion is for 3M to make precut pieces to fit standard window sizes - even then I still wouldn't buy it - but it's a suggestion. Gail, that is a good point. But I think we'll keep it for the summer months, too. Our windows let hot air in just as much as cold. I think the insulator film will help retain the air conditioning in our room. This might be a silly question, but can you add the blinds back after you're finished or does the film get in the way? Yes, I added my blinds right back on afterwards. The film doesn't get in the way, it should be suctioned pretty tight across your window. Hi can you tell me if it would matter if a gap where handle & closure sits?